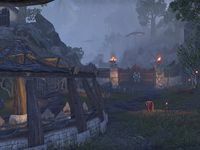 House Hlaalu Retainer - Appears after boss defeated. Malak's Maw is an Orc camp in southwestern Deshaan, southwest of Narsis. Malak's Maw Objective: Rout Orcs from the mountain pass. This page was last modified on 9 February 2019, at 01:22.